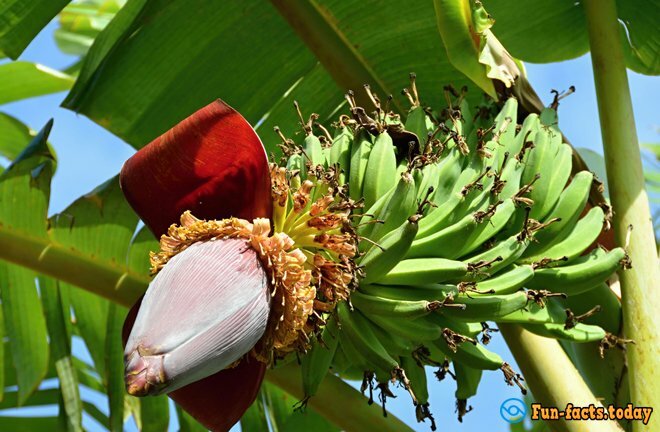 Many have heard that banana tree, in fact, is the grass, and its fruits are berries. 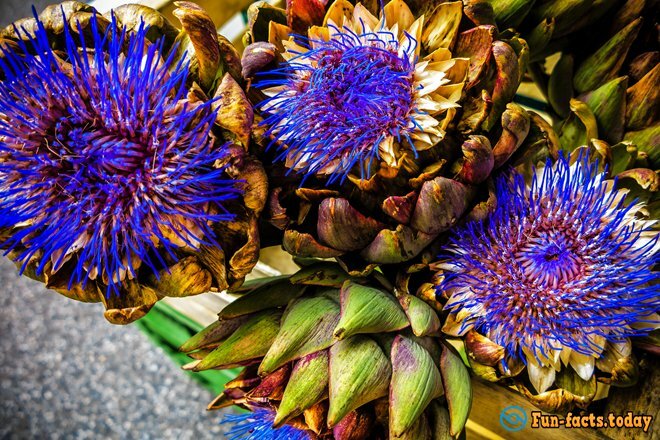 Few people have seen bananas on the palm, and what to speak of those who saw her flowers. It is an unforgettable sight! 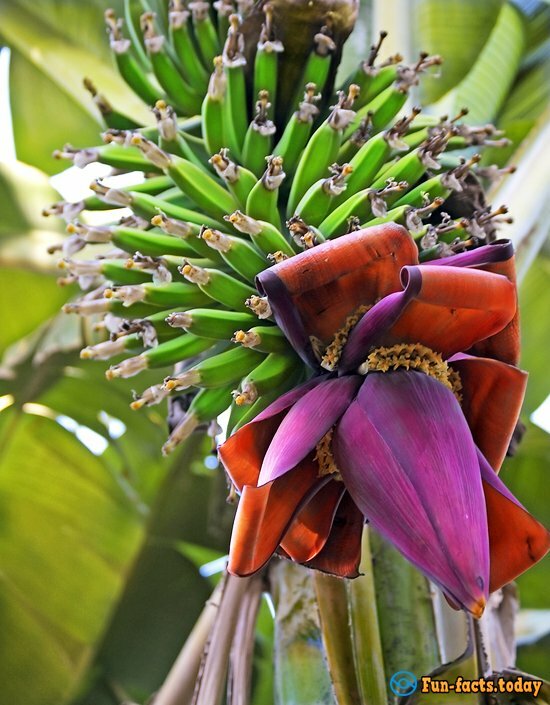 Who would have thought that such habitual bananas bloom so beautifully for us! 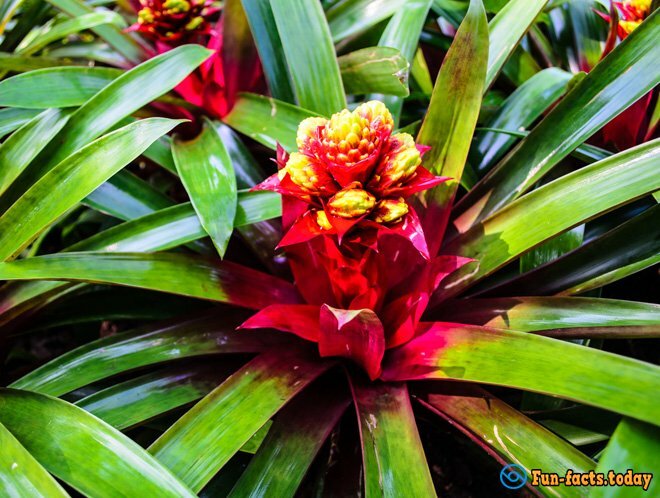 We have already know that pineapples don't grow on the palms. This berry grows on the ground. 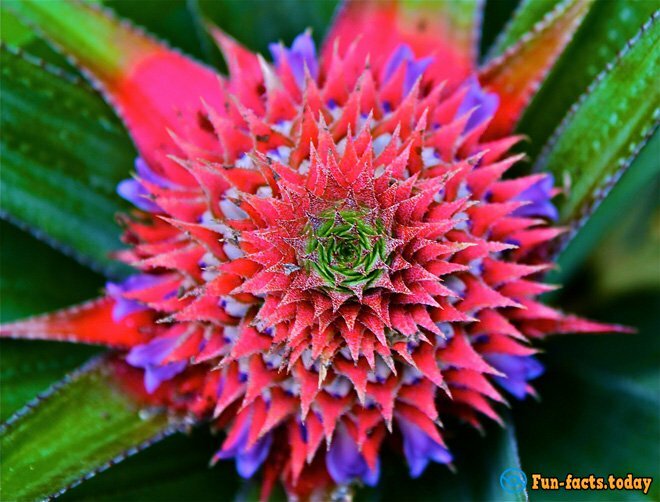 The flowering pineapple is also very beautiful. 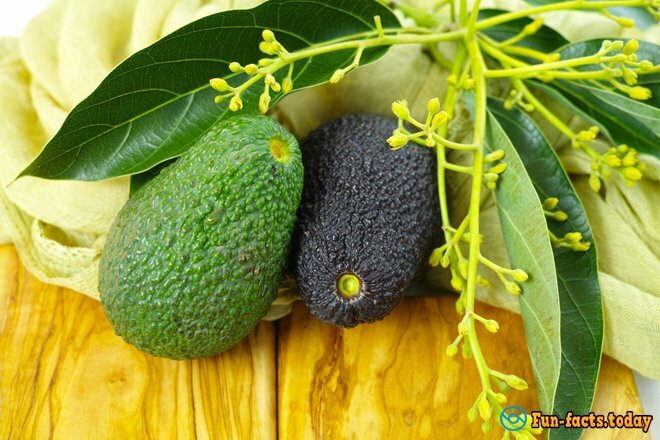 Avocado is one of the most beneficial fruits for human (especially for those who cares about appearance). But the avocado tree blossoms, in contrast to the value of the product, very unattractive. 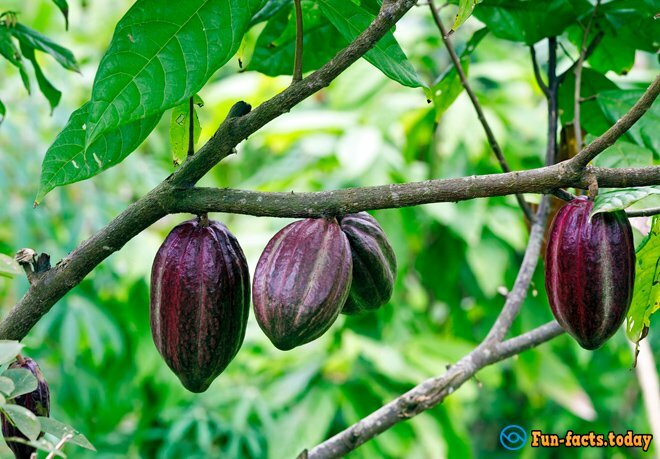 From chocolate fruit tree that grows in the subtropics around the world, people get a cocoa and our beloved chocolate. 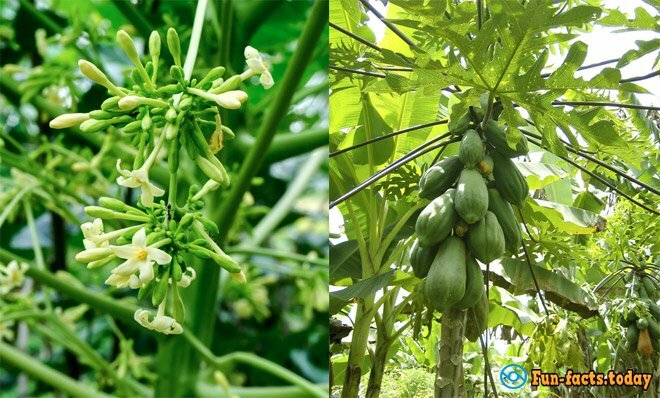 The papaya fruit randomly appears on the palm tree trunk. 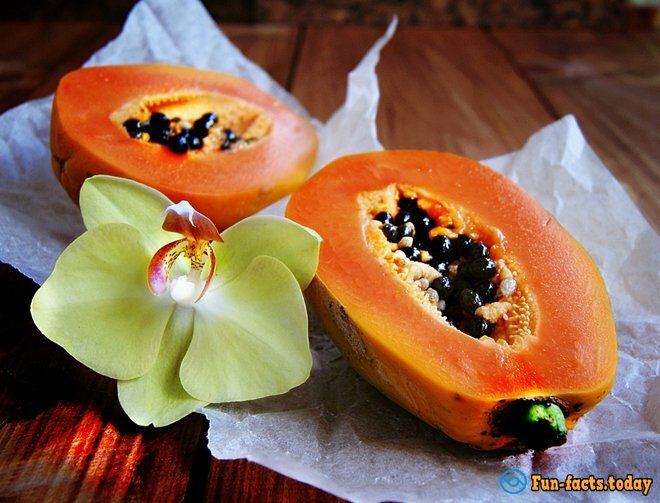 The blossom of papaya is almost invisible to the eye. Taste and smell of this fruit resemble strawberries. But it does not grow on the ground, and the evergreen shrub brings fruits. 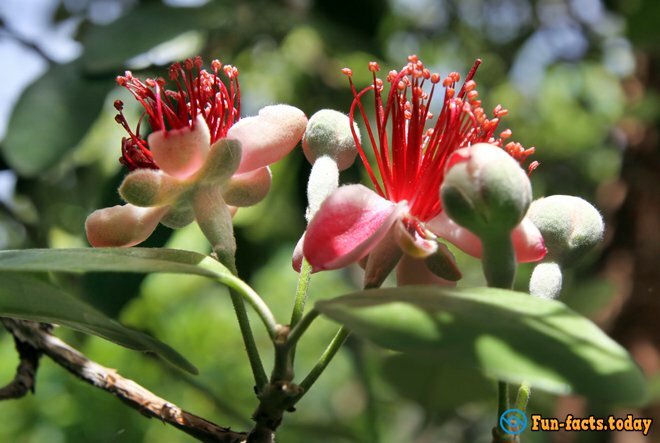 Feijoa is growing in the subtropical zone and even in the Crimea and Georgia. 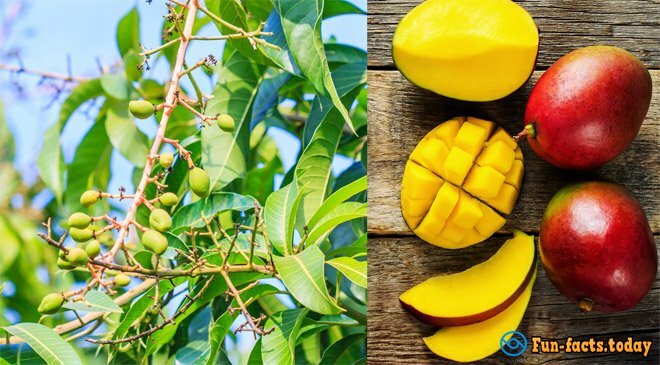 Here you can see how mango blossoms. 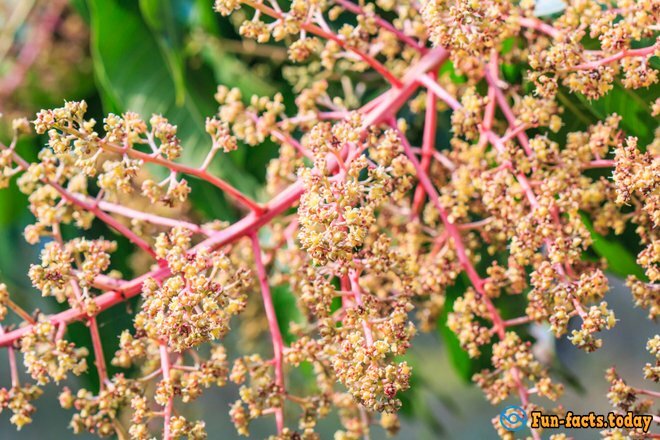 The tree can be found in the tropics of Asia, from India to the Malay Archipelago and the Solomon Islands. 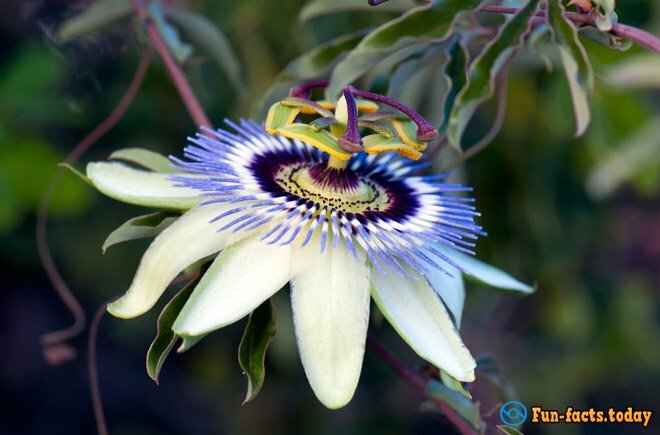 Passion fruit has one of the most spectacular blossoms. 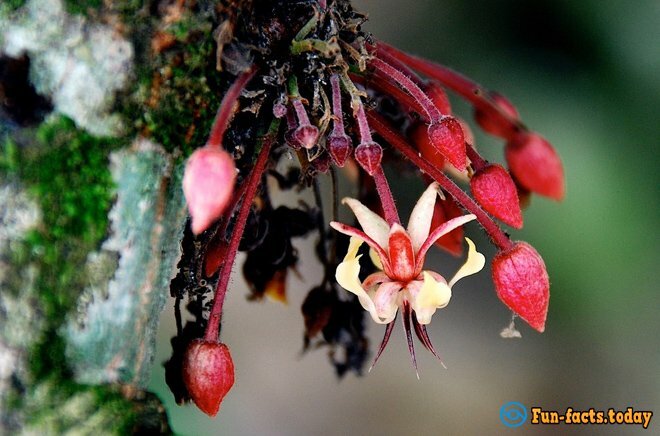 It is a plant native to South America, and it is an evergreen vine with delicious fruits and berries. 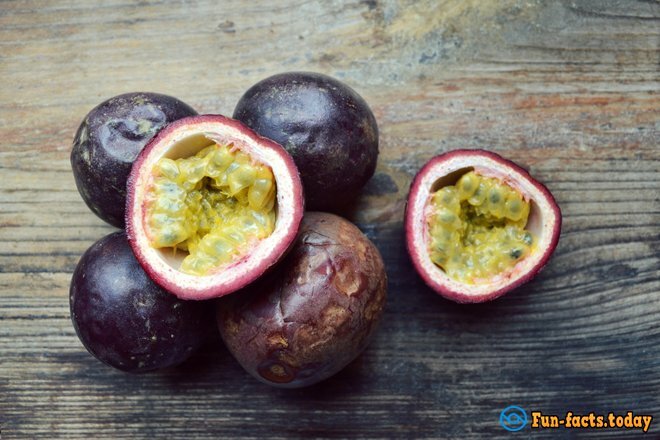 Its fruits have high tonic properties and are used in pharmaceuticals and cosmetics.